I remember as a little boy I used to love to stay up late at night and watch old movies. On CBS TV at 11:30 pm there was no such thing as Letterman, they use to have “The Late Show.” We “old timers” remember exactly what that was, old classic movies every night. I must have been eight years old and this movie came on called “The Pride of the Yankees.” In between smiling and crying, I fell in love with Lou Gehrig and Gary Cooper, the actor that played Gehrig in the movie, baseball and naturally The New York Yankees. As faith would have it, I would get to join the fabled organization and become very close to the man who would become the most powerful man in sports, George M Steinbrenner. I loved the arts very much especially films and every once in a while I used to love to talk about movies with him. I remember once asking him that if they ever made a movie about him, who would he like to play his character and he told me Brian Dennehy. Another time, I remember asking him what his favorite all time movie was and he told me it was “The Pride of the Yankees.” He said the reason it was so great was the heart and soul that Gary Cooper put into the role. On the Boss’s 75th birthday I gave him a beautiful framed picture of Gary Cooper in a Yankees uniform and Cooper In his cowboy outfit from the film “Highnoon”, which was the Boss’s second favorite film. I was very proud ofc the fact that he really seemed to like this gift because of the way he stared at it. Today in the Hollywood community it was announced that a film called “Gehrig” was going into pre-production. Jay Russell was brought on to direct the film, which is based on the Jonathan Eig book, “The Luckiest Man,” and Dan Kay wrote the script. The producers of the film are Michael and David Uslan, from Batman fame. Armando Gutiérrez, who I worked with in “Walt Before Mickey and now here is the kicker– the other producer is the reason that I feel so good about this project. His name is Robert Molloy. I have known Robert since he was born and I know his passion for sports and entertainment, his heart and soul to win and succeed and how much he cares about people. Don’t cross him though because if you do, he will bite back. Sounds like someone that I use to work for doesn’t it? Well that’s because Robert Molloy is the grandson of none other than George M. Steinbrenner himself. 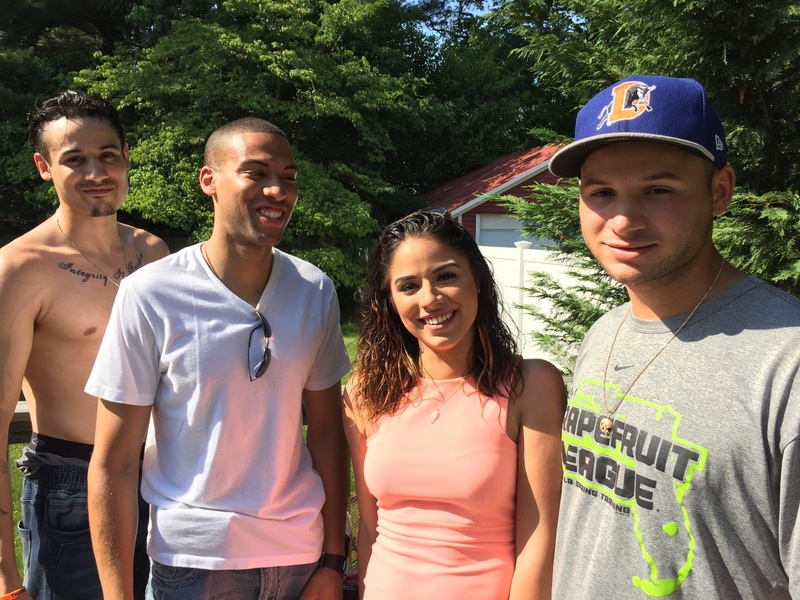 I probably know Robert better than any of the other grandkids and feel confident that his love of the Yankees will help protect the brand and the dignity of both the Yankees and of course the Lou Gehrig name. I know that Robert wanted the rights to the Gehrig book because of the incredible context, probably never before heard or really known. Such as the fact that after baseball Gehrig became a parole officer and actually sent the future world middleweight champion Rocky Graziano back to prison. Also how when Gehrig was in a weak physical state he still tried to deal with the unjust done to many black and Puerto Rican inmates. There are a lot more incredible facts that will make this film great. The process of casting this film will probably be the most fun and I know that Robert is anxious to participate in this part of the film’s process. Molloy is just completing the film Little Mermaids with Gutiérrez starring Academy Award winner Shirley McClain. He is also in pre-production with Bill Chartoff, of Rocky, Karate Kid and Creed fame, in a film called “Stano.” “Stano” stars Joe Manganiello, Sofia Vergara and Whoopi Goldberg with the screenplay by Robert Bruzio. Robert has worked very hard to try to bring great films to the silver screen. If he runs his production company the way his Grand Pop ran the Yankees, then I hope we are talking about future academy awards! This really is a special country when the men that help and advise the most powerful person in the world can take the time to congratulate a young person just starting his life. Such was the case when the NY Daily News wrote a piece on my son, Ricky Negron, and the fact that he was drafted by the Atlanta Braves. The first call came from Michael Cohen, the personal attorney for President Trump. Michael is a dear friend of mine who has been on my ESPN Deportes radio show, Impact. Being the father of a very talented left handed pitcher, Jake, Michael knew exactly what to say to Ricky. The second call came from Anthony Scaramucci. Anthony is a very flamboyant political figure who has had great success in the financial arena and has worked very hard in assisting the President in selecting the right people for the right posts in Washington. Anthony is also a regular visitor on ESPN Impact. His knowledge of sports is great and when he comes on the show with Mr October, Reggie Jackson, it makes for great radio. To have Anthony wish Ricky good luck, knowing that in the next breath he could be telling the President something important dealing with world views, is incredible. 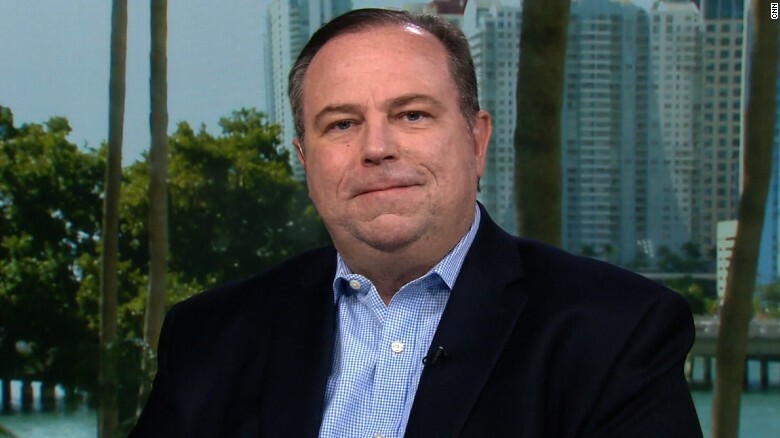 Finally we received a call from Chris Ruddy, the CEO of Newsmax and probably one of President Trumps closest advisers and friends. I am proud to say that I write a column on Newsmax.com every week. The enthusiasm that Chris showed for Ricky really made me feel very proud as a dad. It also made me feel good that in this country people like this have not forgotten the young men and women who are next in line to lead our great land. These men have not forgotten that in their quest to be somebody, the kids still need that little pat on the back. I also know for a fact that these men are here to support all young kids not just mine. Ricky and I want to take the time to thank these very fine individuals just for caring. It really does mean a lot and for a young kid just starting his life, words of wisdom can go a long way. Today is Father’s Day. It’s supposed to be a happy day. This is actually the first without my parents. I was told that it would be a tough one. To say that it has been hard would be an understatement. I depended on my parents for true moral support. Their wisdom was thru the roof. They knew nothing about my world of baseball and could never understand the business end of it. They could never comprehend how if the world was at war or a child may have been kidnaped that Reggie Jackson and Billy Martin would end up on the cover of the morning paper for screaming at each other. Yet they always knew what to say to me at my lowest moments. In life, when they talk about unconditional love only a parent or your children can give you that. I have spent most of this morning crying because of the many text messages that I have received from people. It is a reminder of just how difficult this first parent’s day is without them. I can only thank God that my four kids are there for me and love me unconditionally. In my business of baseball, unless you can hit a 95 mile an hour fast ball consistently you really don’t make much money. You are in it for the true love of the game. If I wasn’t in baseball I may have ended up a criminal like a lot of people from my youth. When I used to try to thank Mr. Steinbrenner for saving me, he always used to tell me that my life was a part of destiny and I would not have taken that bad path. Billy Martin once wrote me a letter saying exactly the same thing. I miss these two man more than words can say. They treated a poor Puerto Rican kid (me) that had a very low self-esteem like I was really somebody. They both would tell me to never let the ignorant people in this game to ever get you down. If they did get you down to let them know right away and they would take care of business. Like my parents, the Boss and Billy were very protective of their kids. They used to tell me that nothing was more important in this world than their kids. At one time, I was having a quiet moment with the Boss in his car and all he talked about was the fact that he wished he could spend more time with his kids and how great they were. He was very proud of his kids. It has really motivated me to always let my kids know how proud I am of them. On this Father’s Day I miss my wonderful Mom and Dad. I miss the Boss, I miss Billy and I miss my big brother Thurman who was always talking about going home to his wife and kids. I want to thank my son Ricky for the wonderful Father’s Day gift of getting drafted by the Atlanta Braves. You earned this with all your hard work. I hope the Braves do the right thing! I thank my son Joey for never giving up when you could have, and for becoming the golden gloves light heavy weight champion. My oldest son, Jon-Erik who is a police officer in New York and puts his life at risk every night. When he puts on his uniform, he really does care! And then there is my unsung hero, my daughter, my little girl. To me, she is the most beautiful girl in the world, inside and out. She is in the cosmetics industry and nothing made me feel more proud than the night that she was working at the premier party for the television show Vinyl. Her clients that night were a couple of guys named Mick Jagger and Martin Scorsese. She has more common sense than anybody I know. I should listen to her more! Life is really too short and everything is a lesson. Let’s really try to enjoy life one day at a time. Also, let’s not forget that our greatest miracles are our children but at the same time please enjoy your parents and your parent figures while you have them. It’s with a heavy heart that I have to report that one of America’s all time great movie directors, John Avildsen, the Academy Award winner for Rocky (Academy Award for Director and Best picture) died yesterday. I got to know John during the last year and found him to be a really down to earth person. 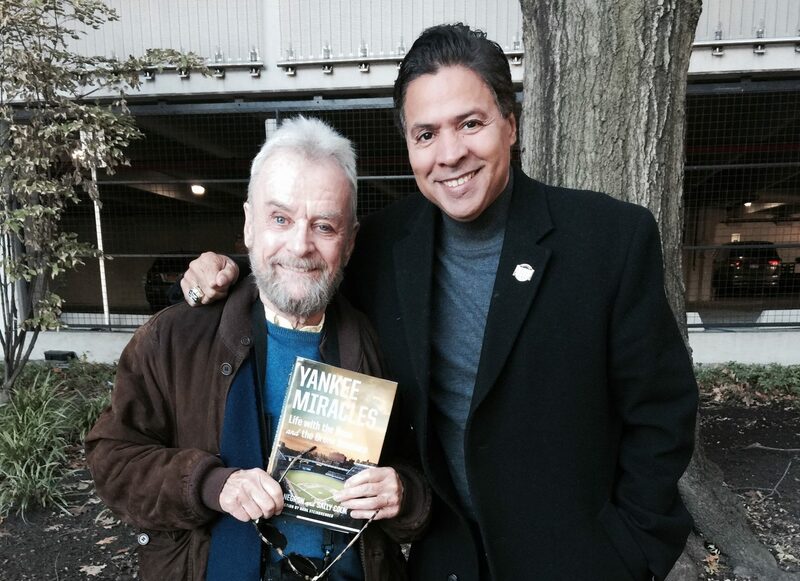 John who was 81 years old with the energy of a 30 year old had looked forward to bringing my book, Yankee Miracles, to the silver screen. Just last week we had meetings at Major League Baseball with officials from the commissioners office regarding rights etc. John’s vision saw Yankee Miracles as a “baseball Rocky.” Screen writer Robert Bruzio, who was to work with John on this project, broke the news to me last night. Even though he was battling pancreatic cancer, he was always hard at work! During the last conversation that I had with John he congratulated my son Ricky on being drafted by the Atlanta Braves. Always a class act! 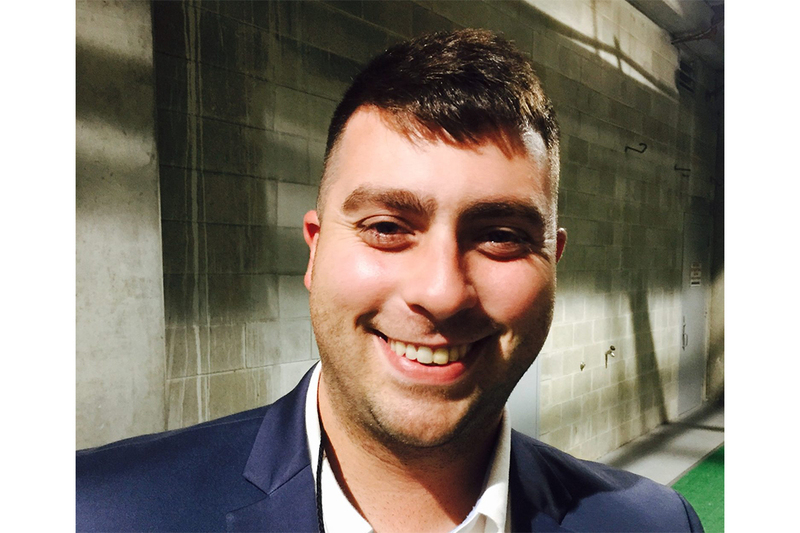 I had actually sat down with Yankee team president Randy Levine and co-chairman Hank Steinbrenner to keep them posted on the direction of the film. My heart is selfishly broken because I will never get to see what he could have done with Yankee Miracles. At the same time I am so happy that we can always see the wonderful work that he left behind. By the way, we had hoped to present Richard Gere with a copy of the script Yankee Miracles to entice him with the role of George Steinbrenner. Richard would have had to put on twenty pounds. John Avildsen was a nice man with a great vision and will be sorely missed. 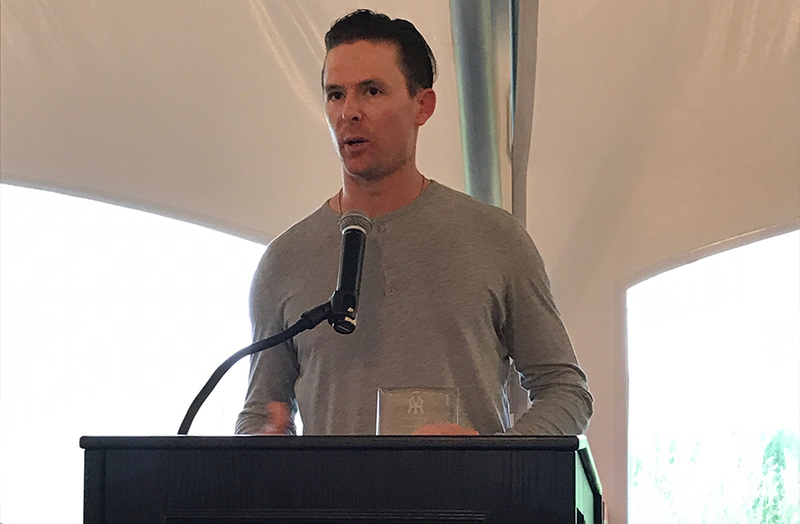 Tyler Clippard was honored by NY Yankees co-owner Hank Steinbrenner and The Hank’s Yanks organization Monday at the third annual Yanks Hank’s fundraiser that enables youngsters to play organized baseball in the New York City Tri state area. Clippard the Yankees righthander first came to the Yankees organization in 2006 and besides his responsibilities on the field he immediately assumed the responsibilities of someone who needed to go to hospitals and schools in the New York area. The first hospital he visited was the Hackensack Medical Center in New Jersey where he showed his support for the many pediatric cancer patients. He appeared at many schools in the Bronx to show the kids support in many ways. When he left the Yankees to pitch in Arizona, Pittsburgh, and Washington he always continued his civic duties. Clippard is a native of the Tampa Bay Florida area so naturally Hank has a fondness for this young man. When Clippard returned to the Yankees, it was easy to select him for the “Hank Award” that symbolizes civic duties. Julia Steinbrenner and Robert Molloy made the presentation to Clippard as the next generation of the Steinbrenner family and their rich tradition of giving back to the community of the Bronx and city of New York. Clippard was very grateful in his acceptance of the award and was humbled and appreciated that it was his first award in baseball for reaching out and being a part of civic duties. The Many Hank’s Yanks in attendance including the new members of the TM Baseball Training Academy in the Bronx were thrilled to meet and greet Clippard. He was one of the highlights on this special day of the third annual Hank’s Yanks Charity Golf Tournament at the Trump Links Golf Course at Ferry Point in the Bronx. This week, I was reading about an incident that happened at Citi Field. Evidently in the game there was a pop up, and in the process of trying to get out of the way the batboy accidentally interfered with play. Mets manager Terry Collins argued that it should have been an out. But didn’t get the call and was ejected. I heard that the batboy was very embarrassed and nervous for his job. My advice to him one batboy to another. Don’t worry about it, that’s a part of the game. The Mets know that it wasn’t intentional and that you’re doing your best. Please continue to have fun and don’t walk on eggshells. Time goes too fast and this batboy job must be the greatest time of your life.